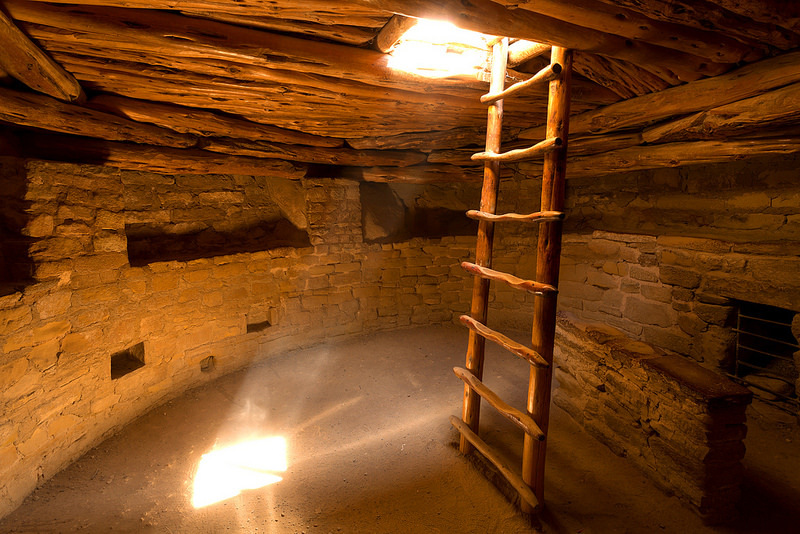 From Moab I crossed over to Colorado and spent the afternoon at Mesa Verde National Park. 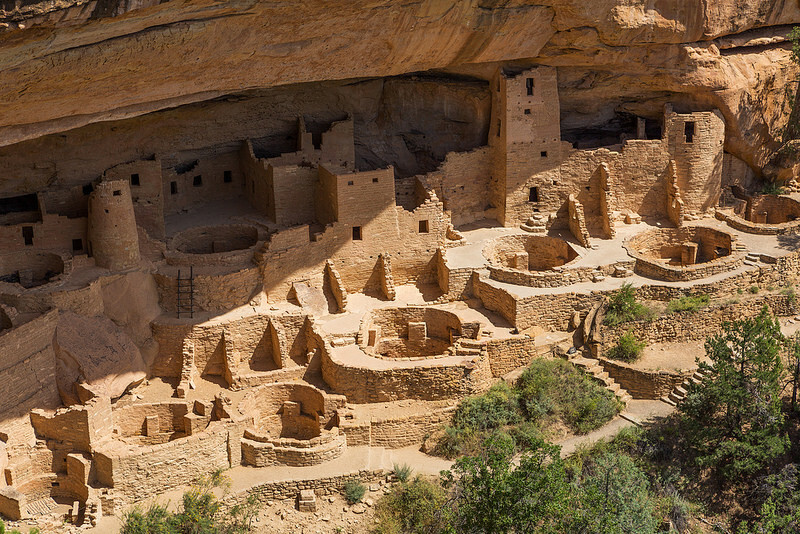 I’d first visited Mesa Verde on a family trip as a kid, and back then you could climb right into all of the Anasazi ruins. 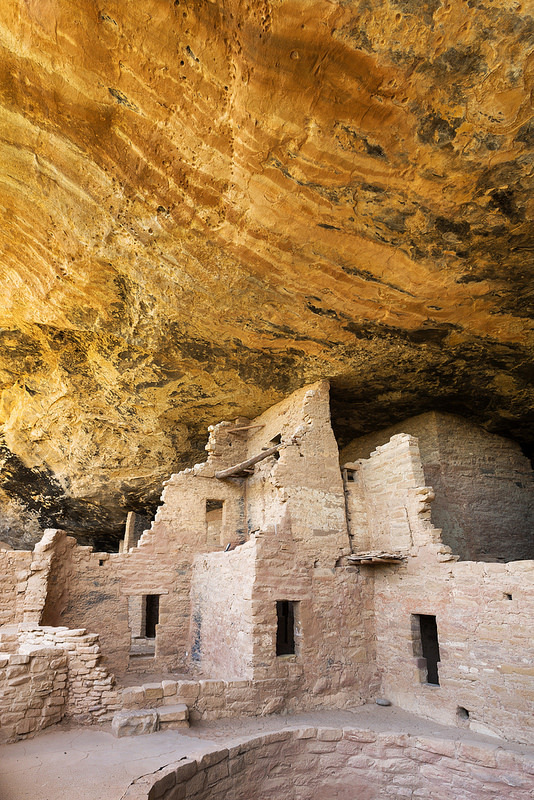 Now most of the ruins are roped off, and some can only be visited on guided hikes with a park ranger. I’ve mentioned before that I’m trying to visit all 59 of the U.S. National Parks. As part of that goal I’d also like to take at least one great photo in each park. My collection so far is here. 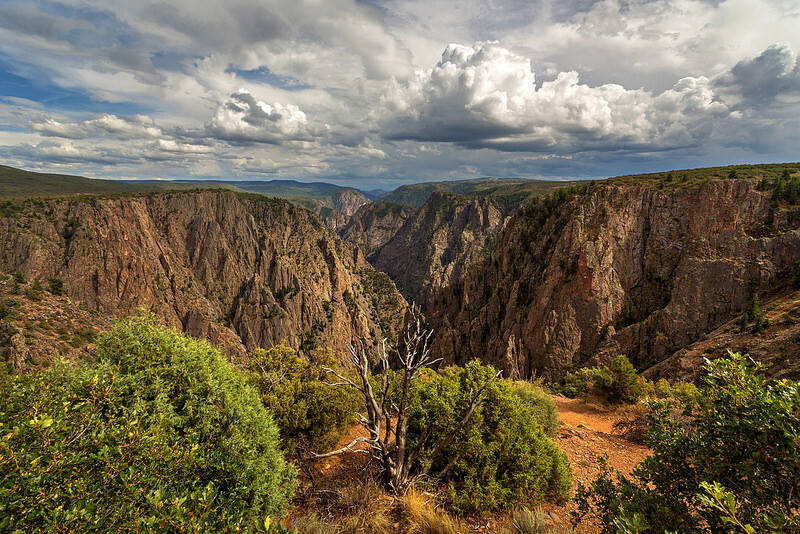 I’ve done a really poor job of photographing many of the 54 parks I’ve already visited, including Black Canyon of the Gunnison. 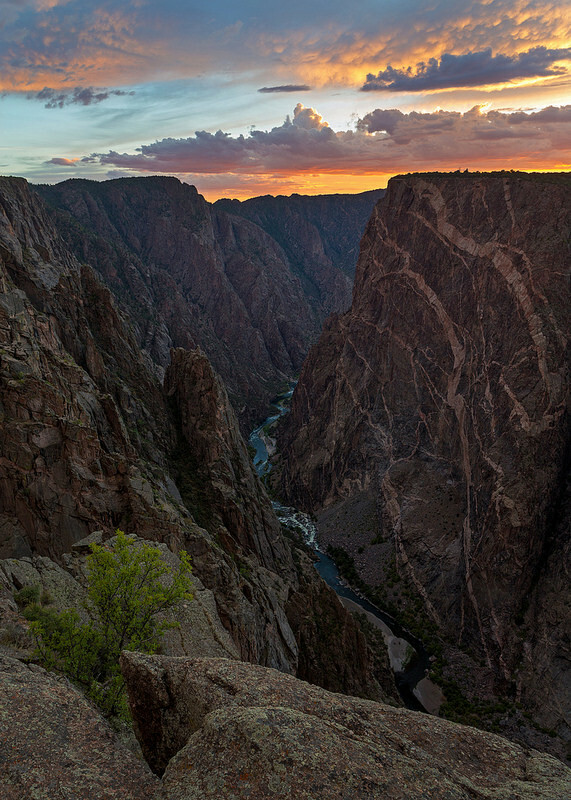 When I first visited Black Canyon I didn’t stay for sunrise or sunset light and the photos I took were just boring. This trip gave me an excuse to try again. 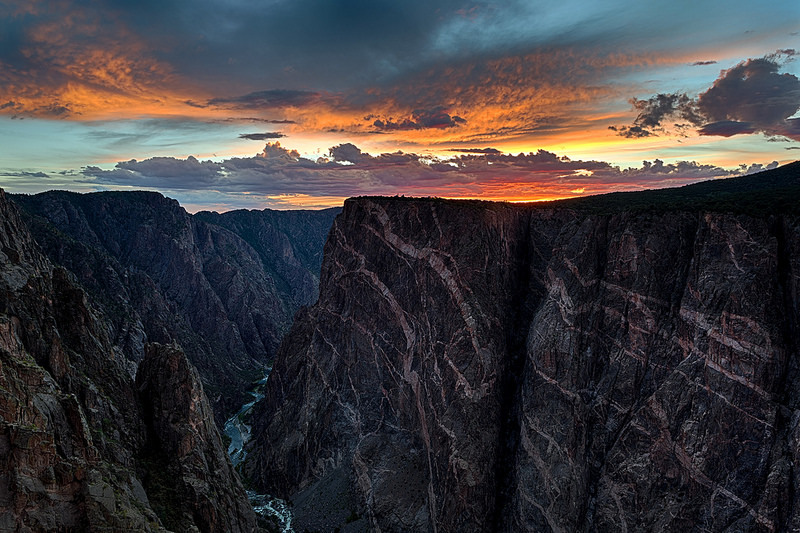 I arrived at Black Canyon’s south rim in the afternoon. 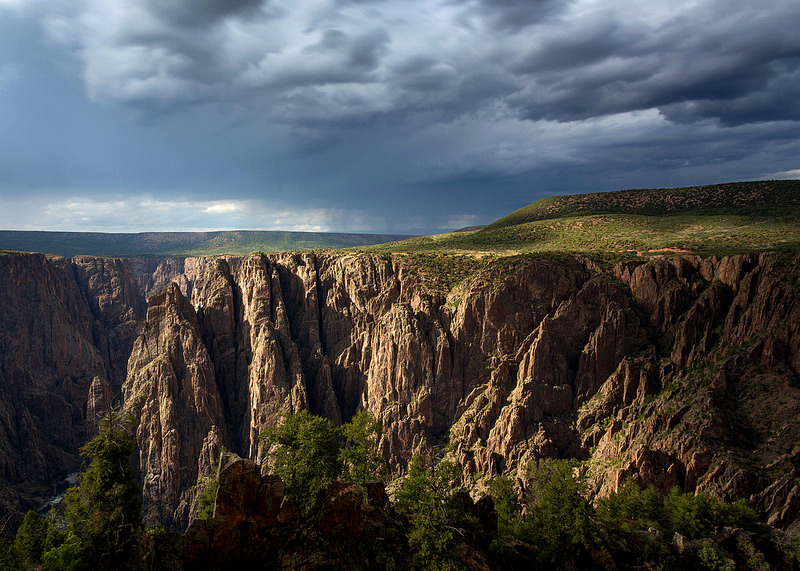 The extremely steep canyon is impressive – so deep that at the bottom some parts of the Gunnison River only get about half an hour of sunlight each day – but the park itself is relatively small and one-dimensional. 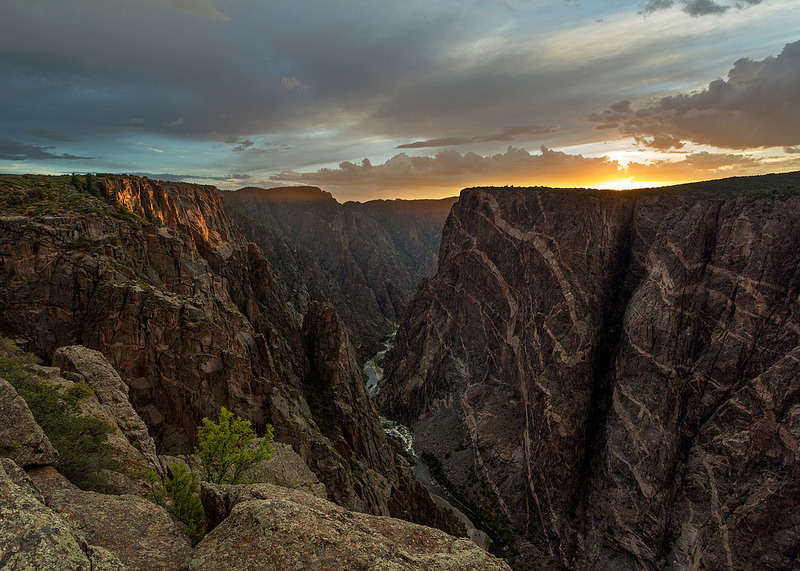 I scouted out the various overlooks and decided to watch the sun set behind the 2,250-foot-high Painted Wall, Colorado’s tallest sheer cliff. 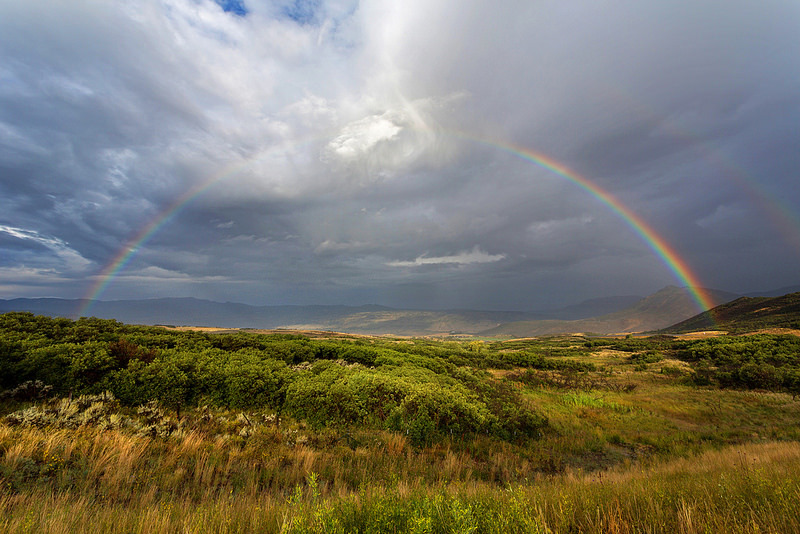 Scattered rainstorms were passing through the area and I worried that the sunset light might be blocked. But at just the right time the elements lined up perfectly. A last, lone beam of sunlight hitting the canyon’s southern edge slowly gave way to a soft range of yellows, oranges, and reds in the clouds. When the color faded I packed up my gear and headed back to my campsite near the park entrance. I should have been more patient! While driving away I noticed the color return to the sky, much more intense than it had been before. I was out of position and completely missed the best part of the show. How many times do I need to learn the same lesson before it finally sinks in? The next morning I woke up for sunrise photos and had just managed to pack up my camping gear when rain began to fall. 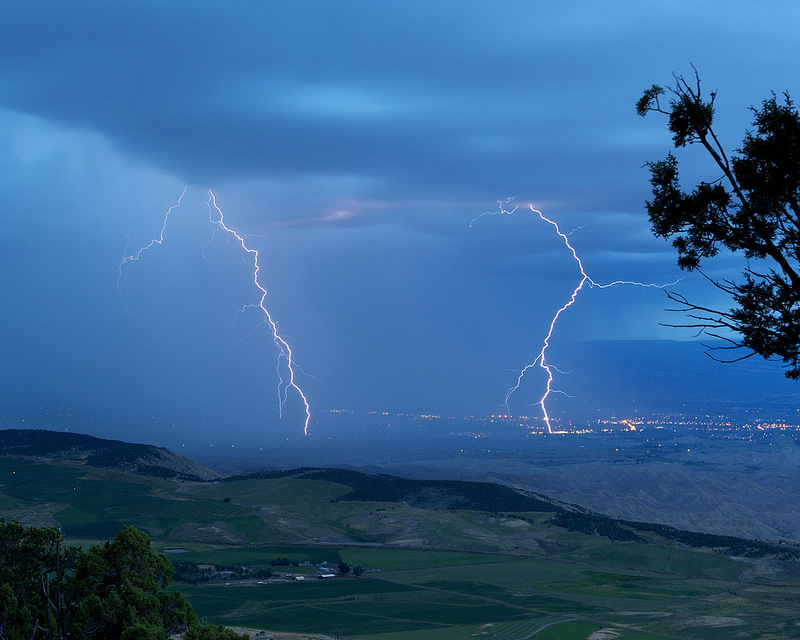 Clouds blocked the morning light, but from the park’s high vantage point I was able to photograph lightning storms passing through the surrounding area.